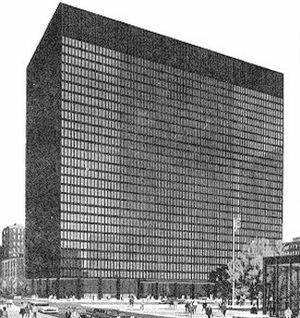 Located in Chicago, IL, the Seventh Circuit Court of Appeals hears federal cases that arise from the federal district courts of the Eastern District of Kentucky, the Western District of Kentucky, the Eastern District of Michigan, the Western District of Michigan, the Northern District of Ohio, the Southern District of Ohio, the Eastern District of Tennessee, the Middle District of Tennessee and the Western District of Tennessee. 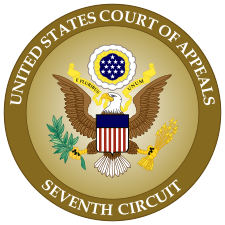 The Seventh Circuit has strict standards for the printing and filing of appellate briefs, and these standards differ from those of the other federal circuits. The starting point for a filling is, as always, the federal rules of Appellate Procedure. 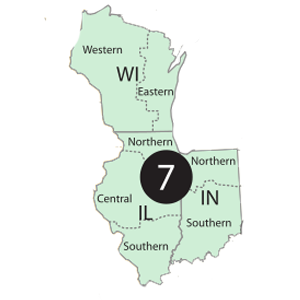 From there, the rules are modified by the local rules of the Seventh Circuit. Fifteen copies of each brief must be submitted along with one service copies to each party. Ten copies of each appendix volume must be submitted with one service copy to each party. If a party elects to file an appendix containing portions of the transcript of proceedings, it shall contain an index of the portions of the transcript contained therein in the form and detail described in Circuit Rule 10(e) as well as a complete table of contents. The transcript of proceedings to be transmitted to this court as part of the record on appeal (and any copies prepared for the use of the court or counsel in the case on appeal) shall be bound by the reporter in a volume or volumes, with the pages consecutively numbered throughout all volumes. The transcript of proceedings, or the first volume thereof, shall contain a suitable index, which shall refer to the number of the volume as well as the page, shall be cumulative for all volumes, and shall include the following information: (1) An alphabetical list of witnesses, giving the pages on which the direct and each other examination of each witness begins. (2) A list of exhibits by number, with a brief description of each exhibit indicating the nature of its contents, and with a reference to the pages of the transcript where each exhibit has been identified, offered, and received or rejected. (3) A list of other significant portions of the trial such as opening statements, arguments to the jury, and instructions, with a reference to the page where each begins. When the record includes transcripts of more than one trial or other distinct proceeding, and it would be cumbersome to apply this paragraph to all the transcripts taken together as one, the rule may be applied separately to each transcript of one trial or other distinct proceeding.